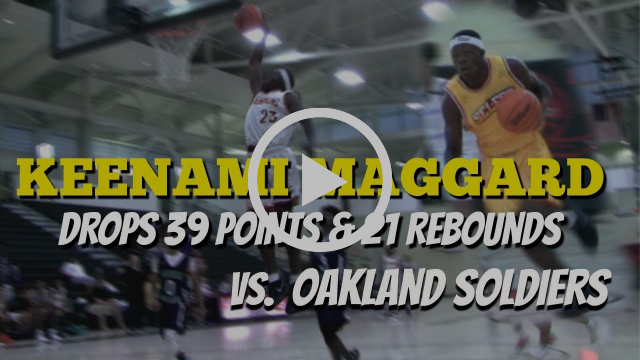 We asked 100 elite hoopers, "What are the top 5 songs to get you ready for the game?" The results are in. Did your favorites make the cut? Keenami was nominated by his coach, who has seen this exceptional athlete pour his heart and soul into the game. Watch the video to see Keenami in action. 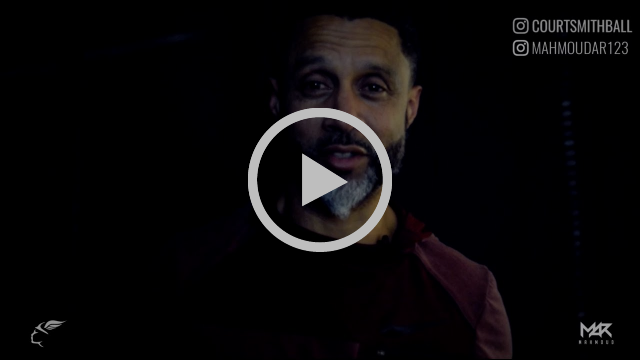 We sat down with the NBA legend, Mahmoud Abdul-Rauf, to give you the inside look at what it takes to keep a level head in the game. Watch his interview to learn more. This month we're focusing on proper meal plans and workouts to increase your vertical. Here's what you need to know. With repeated sprinting and jumping and short periods of rest, basketball is a strenuous sport. While physical training and practice are an important part of game preparation, so is your diet. If you want to run faster and jump higher, you need to feed your muscles right. A basketball player's meal plan should include a wide variety of nutritious foods that helps meet your heavy carb needs while providing enough protein to build and maintain muscle. A basketball player's diet is high in carbs and low in fat. Most carbs should come from healthy foods such as whole grains, fruits, vegetables and milk to maximize vitamin and mineral intake. Lean red meat, skinless poultry, seafood or beans can help you meet your daily protein needs. For heart health, include healthy fats such as olive oil, avocados, nuts and seeds. Aim to eat five to seven times throughout the day. When you're training hard and heavy, it's important to stay fueled throughout the day. A healthy high-carb breakfast meal to start the day right might include a whole-wheat bagel with scrambled eggs, with a banana and a cup of low-fat milk. To keep energy levels up for your hard-working muscles, eat a snack a few hours after breakfast, such as a bowl of whole-grain cereal with low-fat milk or a cup of low-fat yogurt with an orange. If you're game or practice is three to four hours away, eat a lunch meal that is high in carbs and includes some protein. For example, try whole-wheat pasta mixed with broccoli, carrots, cauliflower and shrimp with low-fat Parmesan cheese and a cup of orange juice. One to two hours before practice or a game, eat a low-fat, high-carb snack to get you through, such as whole-wheat bread with jam or a banana with low-fat milk. What you eat after games and practice is as important as what you eat before. To promote muscle healing and recovery, eat a snack that contains carbs, protein and fat within 30 minutes of finishing up, such as an apple with peanut butter or a cup of low-fat chocolate milk. Eat a healthy dinner meal three to four hours later to continue to replenish energy stores and build and repair muscle. A healthy dinner meal for a basketball player might include grilled chicken with a large baked potato, peas, tossed salad and a glass of low-fat milk. A Depth Jump is a common technique to increase vertical jump performance. This exercise, performed by jumping off a box at roughly your vertical jump limit, then immediately jumping up again as soon as your feet touch the ground, trains your body to maintain and use elastic energy to propel yourself quickly and with power. To do a proper Depth Jump, stand on a firm surface between 1 and 2 feet tall. Step off with one foot, land with your knees bent slightly and jump back up immediately. Perform 1 or 2 sets of 5 to 8 reps, depending on your strength and experience. This exercise can be modified by adding hurdles or repetitive jumps, or by steadily increasing the height of the box. Jump Squats use your body weight for resistance training and to build muscle memory for launching your body from a bent position. They can also be used as a strength training exercise with the addition of weights, which will train your legs to power you up. Perform a regular Squat with proper technique, including keeping your knees over your toes and your back straight. Once you are low to the ground, jump as high as possible. Repeat 5 or 6 reps over 1 or 2 sets. The training effect is similar to what you experience with a vertical shock workout. Jump Squats should help you develop the critical technique of explosive movement, which combines power and speed to unleash force at a shockingly intense rate. Rise up on your toes and the balls of your feet. Hold this position for a couple of seconds, then slowly lower yourself back to your starting position. This exercise builds up your calf muscles which generate a lot of the force that a vertical jump requires. Once you feel you’ve strengthened these muscles, you can add reps and hold dumbbells at your sides to increase the resistance. This is the first in a series of reviews where we uncover the essential components needed in a basketball shoe to enhance your performance. A serious basketball player needs to protect their knees and ankles during play to promote longevity. In this intro video, you'll learn the basics of body mechanics and how it effects the motion of your legs, ankles, and feet. 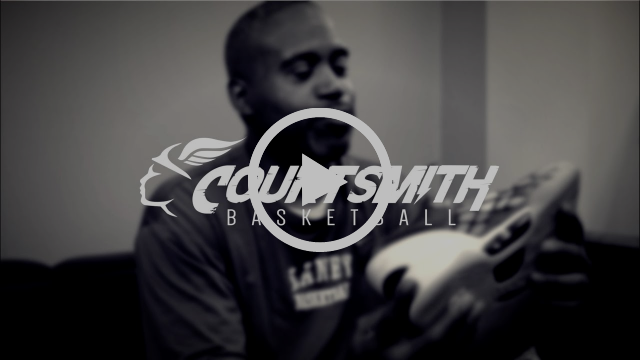 We took a time out with Laney College Head Coach, Ron Williams, to give you a real look at some of the most common issues with popular basketball shoes. Aside from your skills, your shoes are the only weapon you have on the court. Are your favorite pair helping or hurting you? Check out the video to find out. You ask and we'll tell. These are the questions that many of you wonder about but probably don't know where to look for the answers. "How do I deal with an overbearing dad?" This is a VERY tough position to be in, since you’re this person’s son. You love him and want to do your best and have fun but you also want impress and please your father. The first thing you need to decide as a kid is do you really love basketball, or are you doing it for your dad? If you DO love it, the best thing to do is communicate how you feel to your dad. If it’s tough to do verbally, write him a letter saying that he puts too much pressure on you, and the game isn’t fun for you with all the added anxiety. "I can't enjoy the game when you behave this way and I cannot see myself playing for another 8-10 years if you’re doing this every single game. I appreciate that you push me and invest so much time and energy in me, but I wish you wouldn't chastise me for every mistake." After all, basketball is all about mistakes. You learn from them and become a better player as a result. You could ask your dad "How can I grow and improve on my mistakes, vs. having you put unnecessary pressure on me every time I touch the ball?" As a basketball player you already have a coach, assistant coach, and possibly even a trainer watching your every move on the court - ask your dad if he could at least give you a bit of a break. Also, see if it’s possible to get a personal trainer (if you don't already have one) so you don’t have to deal with your dad all the time. This can create a buffer between you and your father. You can even talk to your trainer about it if you do have one. Your trainer can offer a new perspective and give your dad a moment of clarity. If you do not want to play anymore, NOW is the time to say it. Right now, before you're running suicides for 5 more years and hating life. You’re young and need to figure out what you love and spend your time doing that. However, you cannot just do nothing – figure out what it is you do want to do. You will most likely need an alternative to present to your dad. It seems really scary to disappoint a parent, but when it comes down to it, your happiness is important. It won’t break his heart; he may feel a bit of a sting, but a father like that should be supportive of whatever passion you really do have. A young basketball player should get a trainer when they're really serious about their game. If they really want it, age 10 is average. Keep in mind that it’s a huge expense for most parents, so you definitely gotta be serious about what you want. The earliest age for a trainer would be around 8 years old. They're still young enough to grasp vital fundamentals that they can build on to home their skills.